Many institutions and individuals use websites these days to tell their stories. At the same time, each website uses different tactics to attract visitors. However, not all the websites are equally popular among visitors. If you look at the reasons, you will find that the websites that are not popular have various weaknesses. If you can avoid these weaknesses, you will have a website that converts better, that people stay on for longer, and that people will share with their friends. Before you get down to designing your website, you first need the platform upon which to build it. 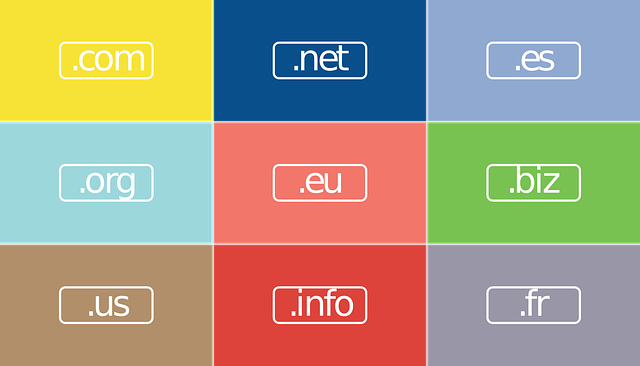 So, you need a web hosting service and a domain registrar. A lot of companies will do both for you, but you can have two different companies provide them so feel free to shop around and find who has the best prices on each service. We founds some great domain extension deals with GoDaddy, and they have a pretty good hosting service too so to keep it simple you may just want to do everything through them. Make sure that the domain that you want is available before you go off setting up a logo and coming up with your branding! The main problem with most websites is that they are not optimized for visitors. If you make your website visitor oriented, there will be more people visiting your site. It is good idea to examine how to design a visitor-oriented website. The first thing that you need to consider when designing a website is the layout. You should decide where to place your articles, where to place your menus, and the placement of your graphics if they are there. Once you have designed your website, you need to test it to learn if the layout is useful or not. The best way to do it is to look at the site assuming that you are a visitor, pretend you don’t know anything about the product or service. What is your eye first drawn to on the page? Is it clear where you should go if you would like more information or to contact somebody? You could also show it to your friends and family to get their opinions. Or there are professional website review services that can take a look for you. When it comes to website design, simplicity has its own merits. Anyone will like a simple website with good content. Instead of adding lots of colors and fonts of different sizes, you could build a simple, clean website that your visitors will find easy to read and visually appealing. Also, you must not add to too many graphics and animations. If you want a lot of visitors, the KISS principle definitely applies. To make your website user-friendly, you need to place the right things at the right places. The menus should be easily visible, which is why most websites place them right at the top of the page. The layout should be attractive to your clients. When you have these properties on a website, not only you will get more visitors, but also you will get better search engine rankings. You could add the right graphics and use the right colors to emphasize your message. Your shapes, effects, and gradients should all be made with your marketing niche in mind. You must prepare your site for your audience. The menus should be left at the correct places. Lighter colors have a soothing effect while for highlighting you could use darker colors. Navigation is one of the most vital features of a website. In the case that yours is an e-commerce website it is especially important. Links and menus should be placed in a place where your visitors could find them easily. When your visitors need to go to the product page, you must never make them go all over the site looking for the links. If that happens, the visitors will not take the trouble to look for your links. Rather, they will go to your competitor’s site. So that’s our beginners guide to website design, we hope to have several more in-depth articles on this topic in the future. In the meantime, we’ve included some great links in this article for further reading. ← No GoDaddy Renewal Coupons? Did GoDaddy.com Kill a Goldmine?